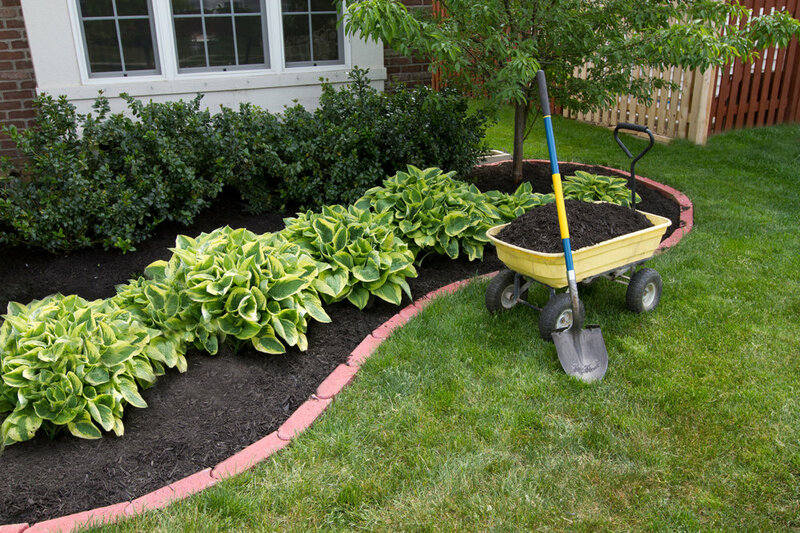 Mulching is adding a layer of material around your bedding plants to cover the soil. The many benefits of mulching include, retention of moisture in the soil, helps keep the soil from becoming compacted, adds nutrients back into the soil and feeds the beneficial worms. Lastly, it is pleasing to the eye by maintaining a uniform color and appearance around your bedding plants.